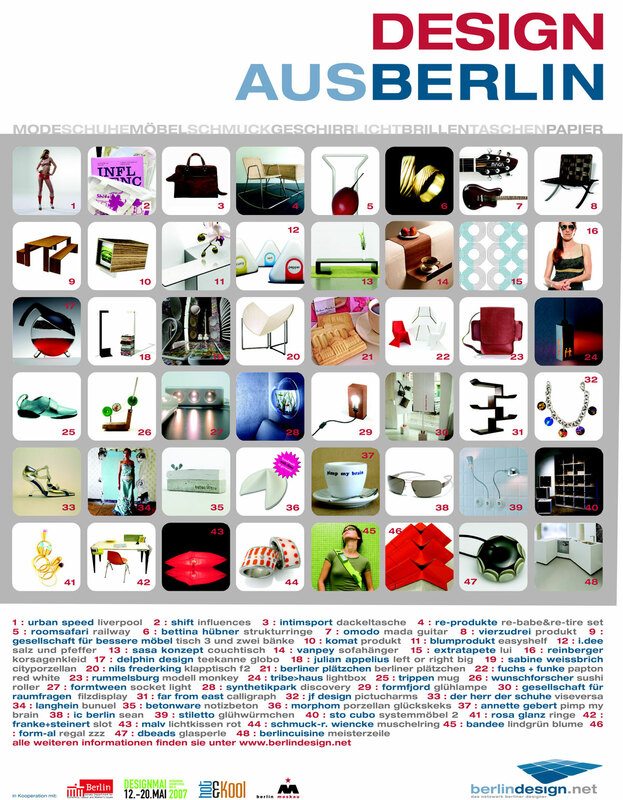 Five years ago, with the creation of platform berlindesign.net, about 250 Berlin designers have come together to present themselves and their works to the public. On the occasion of the 5th International Designfestival Designmai they present their best design studies and prototypes in an exhibition at the Automobilforum Unter den Linden. Thus the creative diversity of the design scene in Berlin is summarized for the first time in such an extensive exhibition.